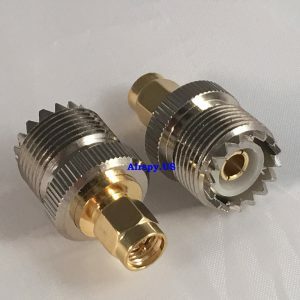 Connects two BNC Male connectors. Adapts MCX Male to SMA Male. Used to adapt RTL antennas to Airspy. 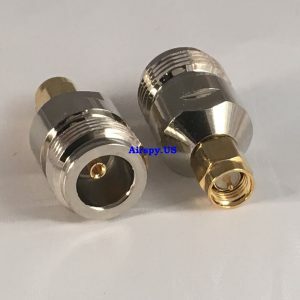 Adapts the unit to accept an N male connector. 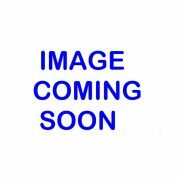 Adapts the unit to accept a UHF male connector (PL259). 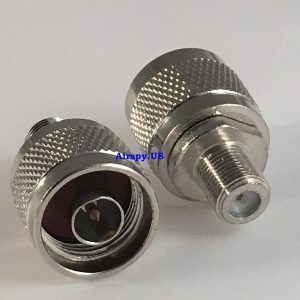 While UHF connectors are not our favorite at higher frequencies, we also know there are some who will want UHF adapters, so we will sell these for those who want them (see note below *). These will also work fine for the Spyverter. 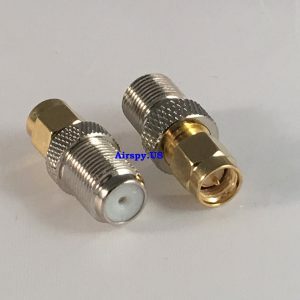 * Due to the wideband nature of the SDR units, use of UHF connectors is highly discouraged if you intend to use the unit above 500 MHz. Why? 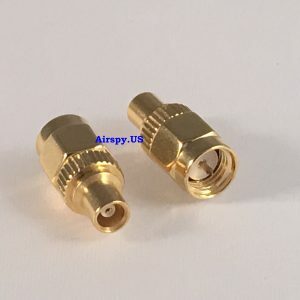 UHF connectors act like a brick wall to RF signals at higher frequencies, and we want you to get the most out of your SDR receiver. 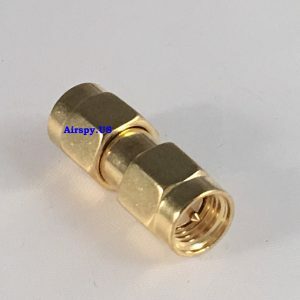 Adapts the clock input to accept a BNC male connector. 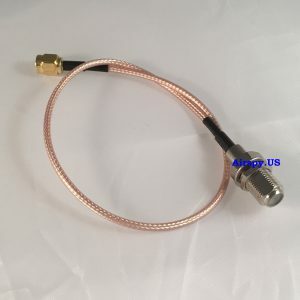 This 6″ cable (pigtail) reduces stress on the unit when using heavy duty feedlines. 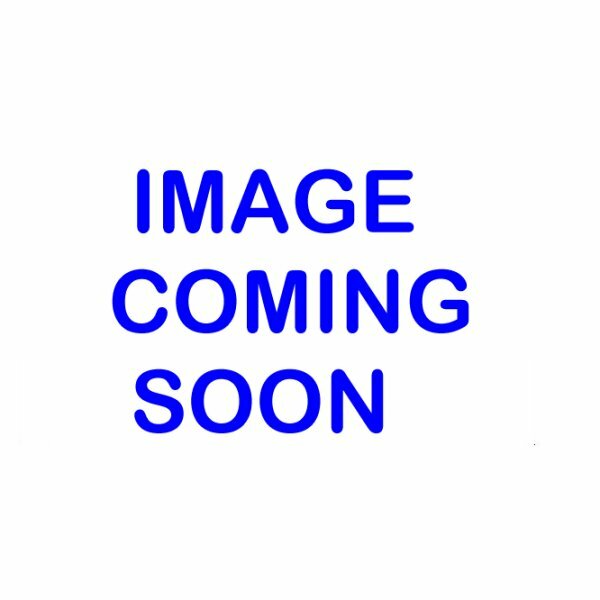 The MCX is a 90 degree angle connector. 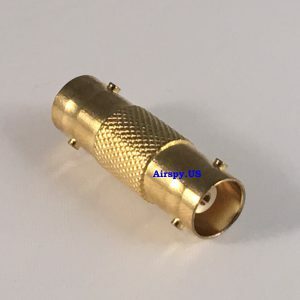 Used for directional couplers or other SMA terminations. 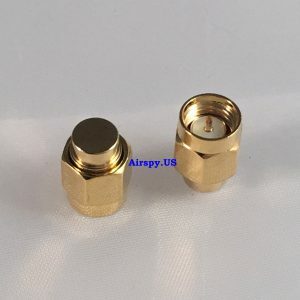 Adapts the unit to accept an F Male connector. This 12 inch cable (pigtail) reduces stress on the unit when using heavy duty feedlines. 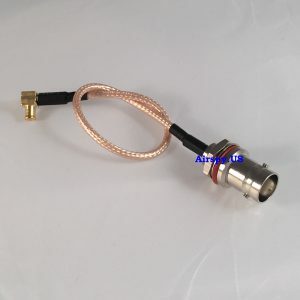 Adapts the feedlines to a N Male connector.